Three former employees of HCR ManorCare (or businesses that it owns) brought qui tam lawsuits against their former employer pursuant to the federal False Claims Act. In most lawsuits, the plaintiff must demonstrate that he or she was personally harmed by the entity that is sued. That doctrine, known as “standing,” prevents individuals from using the courts to correct perceived injustices in which they have no personal stake. Qui tam lawsuits are an exception to the usual rule that a plaintiff must have standing to sue. The False Claims Act authorizes individuals who allege fraud against the government to bring a qui tam lawsuit on the government’s behalf to recover the government’s loss. If they are successful, they receive a share of the proceeds. The government has the option of taking over the litigation if it concludes that the allegations have merit. The government took control of the lawsuit against ManorCare. 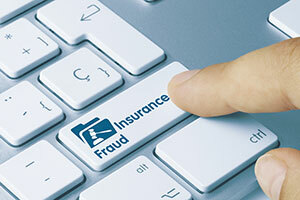 Its primary evidence was an expert report prepared by a nurse examiner with the help of a team that works to uncover healthcare billing fraud. ManorCare asked the court to strike the report and to impose sanctions after the expert produced notes after the close of discovery. The expert had earlier testified that no such notes existed. HCR ManorCare is a nationwide provider of short-term and long-term care facilities, including nursing homes, rehabilitation facilities, memory care centers, and assisted-living facilities. The three occupational therapists who began the qui tam lawsuit alleged that their former employer had participated in a scheme to defraud the Medicare and TRICARE programs by submitting false claims for payment. The government eventually added itself as a plaintiff and the lawsuits were consolidated. The plaintiffs alleged that ManorCare billed for services that were not “medically necessary.” Their primary allegation was that ManorCare provided more skilled rehabilitation therapy than patients needed. The lawsuits claimed that delivering an unnecessarily high level of care allowed ManorCare to receive higher reimbursement rates from the government. False Claims Act lawsuits against healthcare providers are relatively common. The most successful lawsuits typically allege that a provider billed for services that were never rendered. For example, TeamHealth Holdings (formerly IPC Healthcare) recently agreed to pay $60 million to resolve claims that it billed the government for more expensive services than it actually provided. Allegations involving false claims are more difficult to prove when they admit that the services were provided but allege that they were not necessary. Whether a service is medically necessary is often a matter of opinion. When a healthcare provider says “We delivered a high level of care because the patient deserved it,” juries tend to think that the government shouldn’t object to paying for quality care. In those cases, proof depends on the quality of the expert witness testimony that the plaintiffs can offer. The government relied on the expert testimony of Dr. Rebecca Clearwater. Dr. Clearwater was under contract to provide “program integrity reviews” for the Center for Medicare and Medicaid Services, the federal agency that administers Medicare. After ManorCare took Dr. Clearwater’s deposition, it filed a motion to exclude her testimony. The government also asked for sanctions because the government did not produce Dr. Clearwater’s notes about patients whose records she reviewed until more than a month after her deposition ended. The motion was assigned to U.S. Magistrate Judge Theresa Carroll Buchanan. The government explained that it did not produce the notes before the deposition because Dr. Clearwater had denied that the nurses who conducted the beneficiary reviews under her guidance made any notes. The notes were made using the “comment” feature on Word. The nurse reviewers used that feature to comment on items in early drafts of what would become Dr. Clearwater’s expert report. They also communicated with each other using the comment feature. During her deposition, Dr. Clearwater denied that any “comments” were made on the Word documents. The Justice Department lawyer handling the case conceded that government lawyers never asked the nurses whether they made notes. The lawyer contended that she relied on counsel for AdvanceMed, Dr. Clearwater’s employer, to obtain discovery documents related to Dr. Clearwater’s review. The court was skeptical of the government’s explanation for delaying production of the notes once it became aware of them. The government contended that it needed to review the notes to make sure they related to ManorCare patients, even though Dr. Clearwater said they did. Why that review took several weeks was something the government’s lawyer could not satisfactorily explain. The government argued that the notes were not discoverable because they related to early drafts of an expert report. That argument fizzled after the judge forced the government lawyer to concede that the notes were communications from the nurse reviewers to Dr. Clearwater before Dr. Clearwater turned the report over to the government. That timing made the notes discoverable. ManorCare argued that the notes were critical to its defense because they demonstrated that the nurse reviewers disagreed with each other about the care level that patients needed. ManorCare claimed that Dr. Clearwater did not reflect those differences of opinion in her report. In fairness, Dr. Clearwater’s final judgment was the one that mattered, but her failure to disclose disagreements with her opinion deprived ManorCare’s lawyers of ammunition it could have used to attack Dr. Clearwater’s conclusions. The lesson to be learned here is that a lawyer working with experts has an obligation to comply with discovery requests. That certainly includes asking the expert about discoverable documents, but it may also include interviewing the people who worked on the expert’s team. The judge was unimpressed with the government’s efforts to learn about the documents that it belatedly produced. The judge wondered how Dr. Clearwater could deny that notes existed when, in fact, she had a notebook filled with 131 pages of handwritten notes that the government belatedly produced. Those notes were in addition to 5,000 pages that included electronic comments generated in Word files. The judge also noted that during her deposition, Dr. Clearwater agreed to contact nurse reviewers to ask about notes, and later in the deposition claimed to have emailed the nurse reviewers with that request. A nurse reviewer, however, testified that Dr. Clearwater never asked her whether she made any notes. The magistrate judge asked: “How can I find that she was credible at all in her testimony when she has now, we know at least three times, said untruthful statements in her deposition and to government lawyers?” The government suggested that there was “some confusion” on Dr. Clearwater’s part, but the magistrate judge didn’t buy it. The government argued that Dr. Clearwater’s credibility went to the weight that should be given to her testimony, not to its admissibility. Viewing the record as a whole, however, the judge noted that Dr. Clearwater’s repeated misstatements of fact had prejudiced ManorCare’s ability to defend against the government’s accusations. Had ManorCare known of the notes, it would have used them when it deposed Dr. Clearwater. ManorCare’s own expert witness would have used those notes to prepare a rebuttal expert report. The failure to disclose important information therefore prejudiced ManorCare’s defense of the lawsuit. Under those circumstances, Dr. Clearwater’s credibility did not go to the admissibility of her opinions, but to the fairness of the trial process. Whether the magistrate judge went too far in that last assessment might be debatable, but the government apparently agreed that the damaged caused by its expert’s nondisclosure of crucial information was irreparable. Rather than appealing the magistrate judge’s ruling to the district court, the government agreed to dismiss the case against Manorcare. The lawyer for the whistleblowers disagreed with that decision, but reasonably suggested that the government “realized that the trial was going to be more difficult with the exclusion of the expert.” Without an expert witness, in fact, a win would have been miraculous. The dismissal was apparently conditioned on ManorCare’s agreement not to seek fees and expenses related to its sanctions motion.